As I’ve discussed recently on this blog, one way of rebuilding and deepening our relationship with the land is through the intentional act of regeneration. This regeneration work, in many cases, starts with the soil. The soil is the web of all life, and without soil, we cannot traditionally grow anything (I say “traditionally” because aquaponics and other systems do have soil-less approaches, but those aren’t really useful to say, converting your front yard into vegetables). Our soils globally are degraded, and most estimates suggest that if things keep going the way they are going, we have only 60 years of topsoil left. 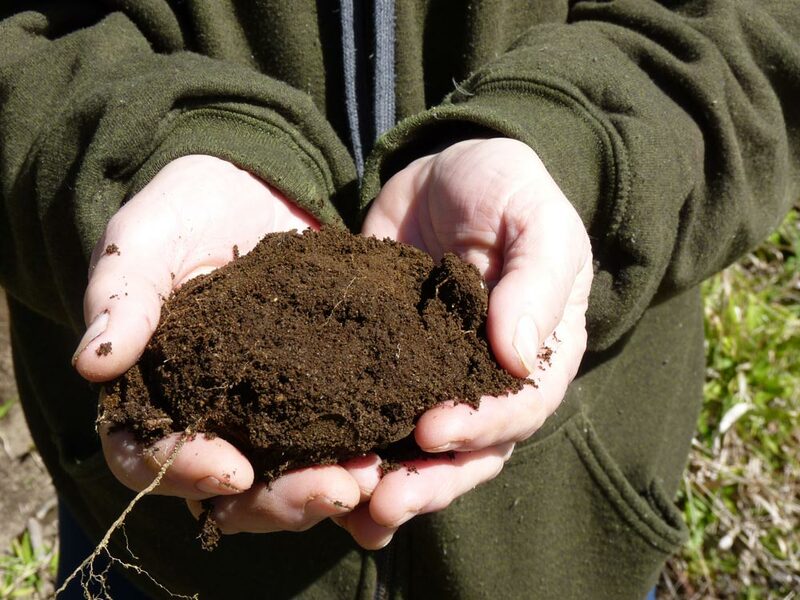 Topsoil takes an extremely long time to recover naturally–about 2″ every 1000 years. 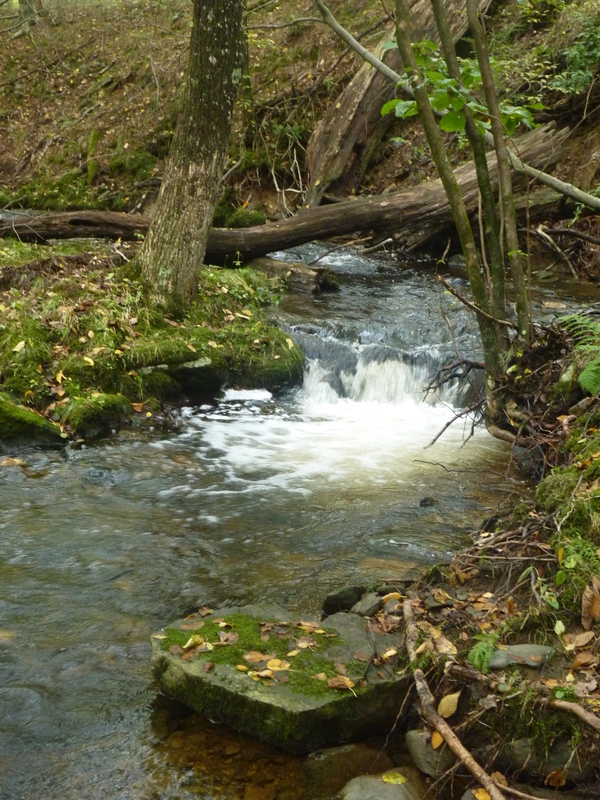 What is happening in the case of industrial farming, growing of lawns, and so on is that material that should be cycled back into the soil them now ends up blown away, in rivers or in landfills. Ninety percent of our food depends on soil (even animals we eat depend on soil, as they eat grains). Healthy ecosystems cannot thrive without soil. And so, from my perspective, if we want to begin the work of regeneration, we begin that work with soil. 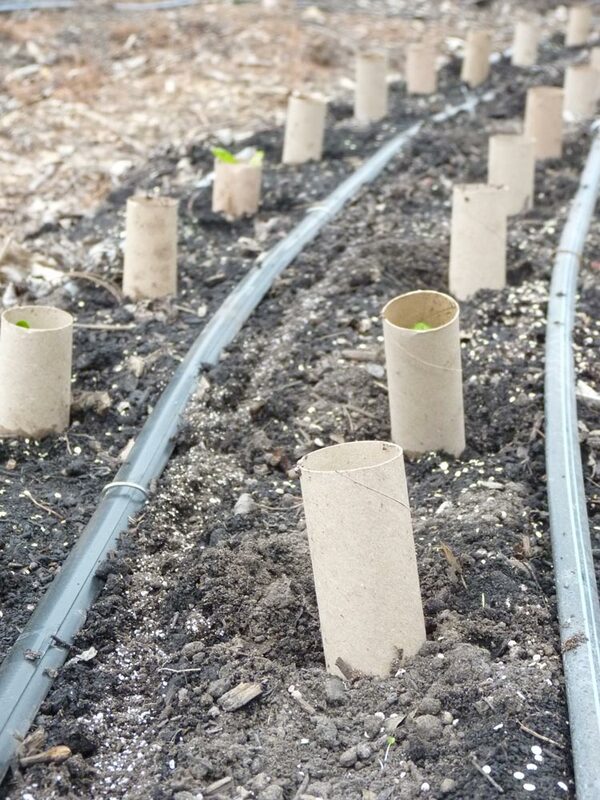 Even if you grow nothing in your soil, sinking carbon and nutrients into the soil is a practice worth engaging in. 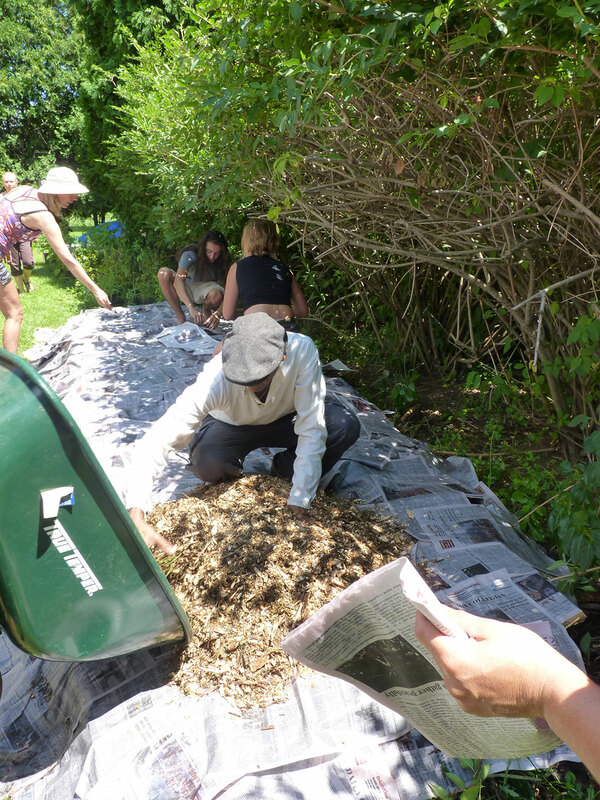 One soil building technique favored by permaculturists is sheet mulching. 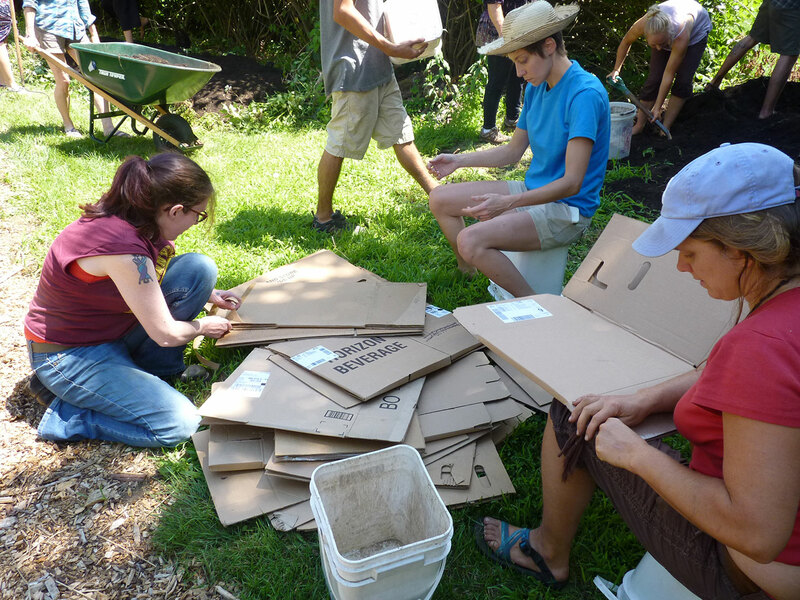 Sheet mulching allows us to recycle otherwise “waste” products (cardboard, newspaper, yard waste, grass clippings, wood chippings from tree work in the neighborhood, etc). It allows us to quickly build soil fertility (speeding up that 1000 year process to maybe 5 or 10 years!). Sheet mulching mimics the natural process of continual layering of organic matter on the top of the soil, and not doing much to disturb the lower soil horizons. 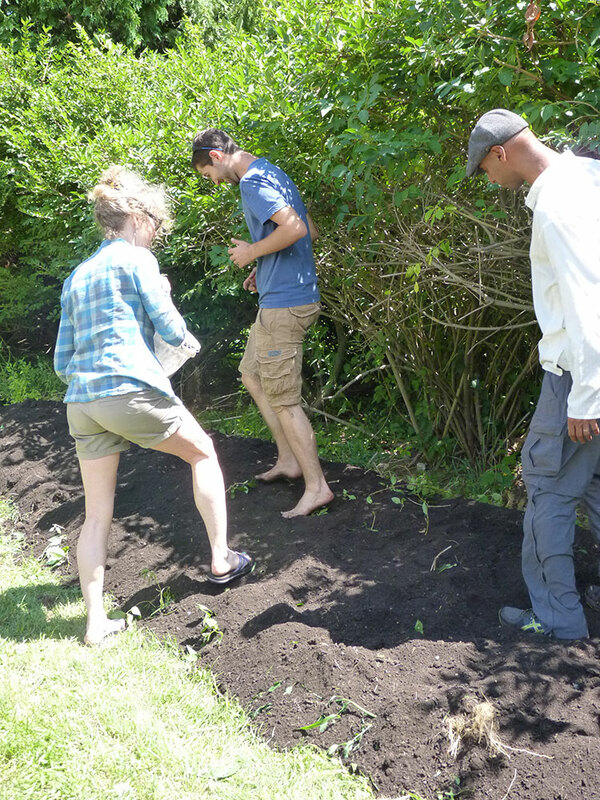 And of course, sheet mulching rebuilds our soil, adding vital nutrients and organic matter. 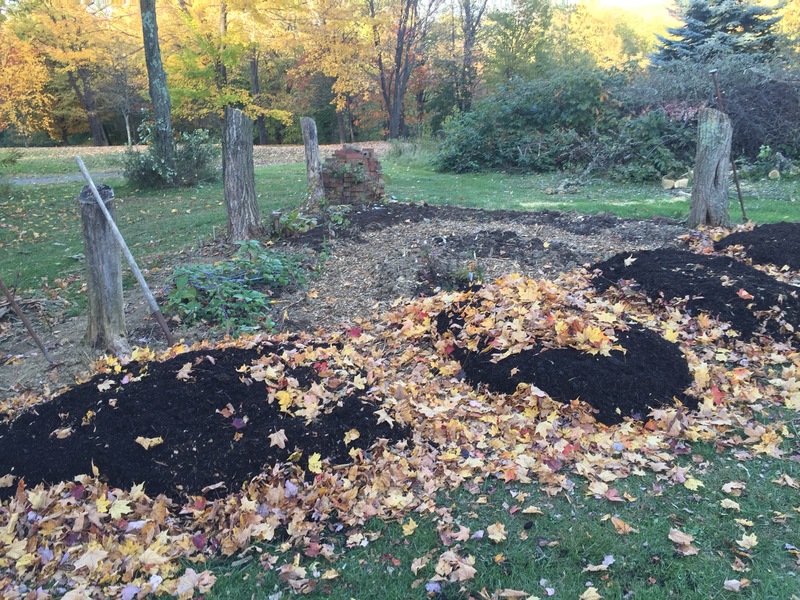 Fall is the perfect time to begin planning your garden beds for next year and for doing any large-scale lawn conversions–and for those of us in the Northern Hemisphere, fall is just about here. Fall is the best time to work because its much more enjoyable to work in the cool autumn air compared to the hot July air; for existing gardens, this is when things die off; and when the fall leaves drop, a lot of free and available nutrients for gardening activities! 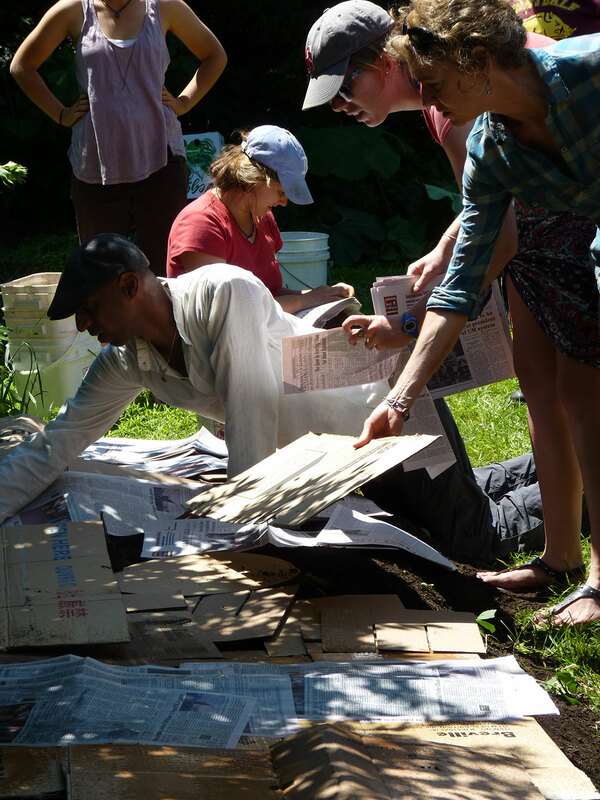 When I was doing my PDC this summer, we visited Ryan Harb’s front-yard garden in Amherst, MA and did a permablitz including a sheet mulch (I will also do a post on Ryan’s front-yard garden sometime this winter after my “harvest” posts are concluded for the year!) 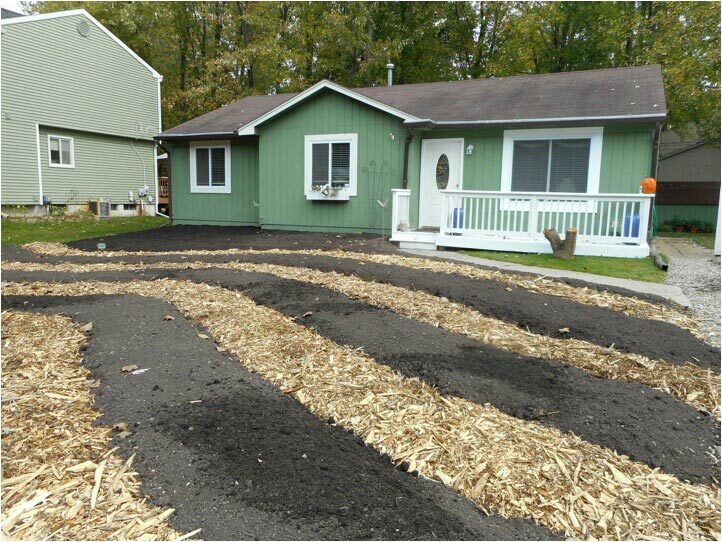 I’m going to share his sheet mulching technique, which was a little different from the sheet mulching I used on my Michigan Homestead that I used this in conjunction with other composting techniques. 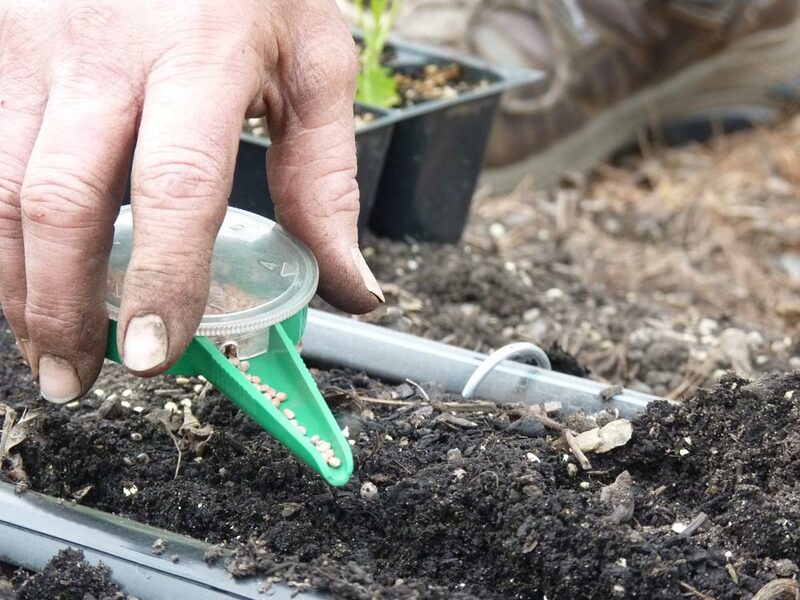 The method I presented on this blog several years ago requires that you have a lot of weed free organic matter (like fall leaves) which may not always be the case. Ryan’s sheet mulch technique presented in this post is really good when you have weedy/seedy material (like say, from weeds in a garden bed) and you want to use that plant material but not have weed seeds popping up. This technique is also good if you have some woody material, like say some small vines or something. 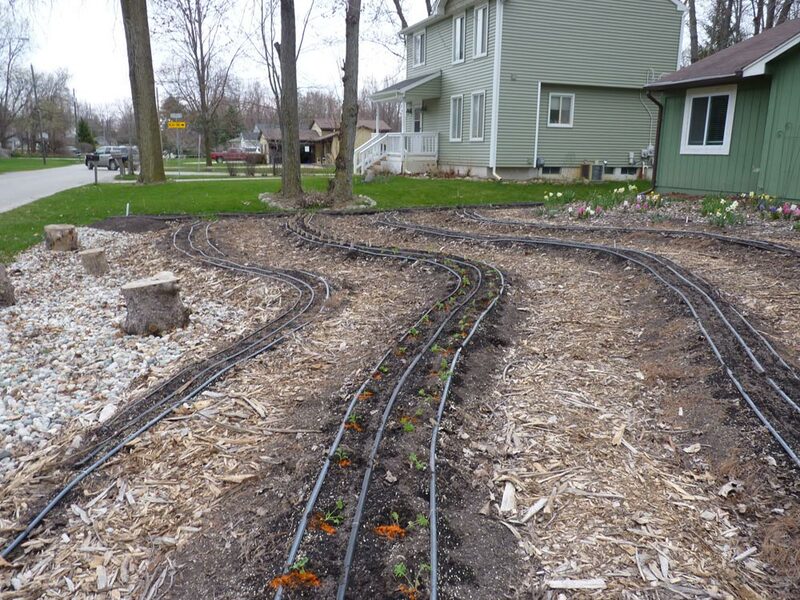 When I began all of my garden beds in my Michigan homestead, I used a very as my primary technique which involved loosening the soil, adding a suppression layer of cardboard, then layering organic matter (mostly weed free) several feet high in the fall and planting in it in the spring. 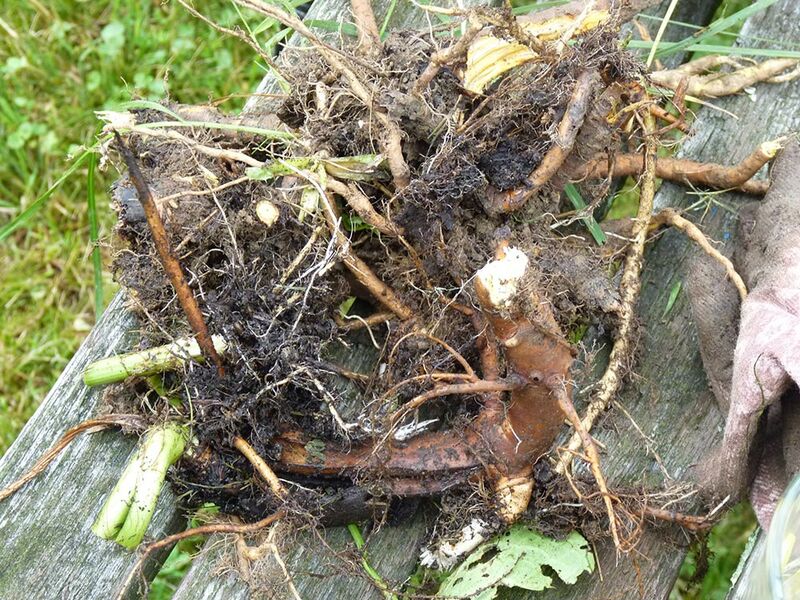 A huge pile of weedy or non-weedy material (woody material ok), so material you pulled from your existing garden; even things like manures often contain weedy material (I learned this hard way the year after my first sheet mulching); fall leaves (preferably shredded) or other organic matter. You’ll need a good deal of this to build soil. A lot of cardboard or newspaper or both; enough to cover the pile fully with overlaps. 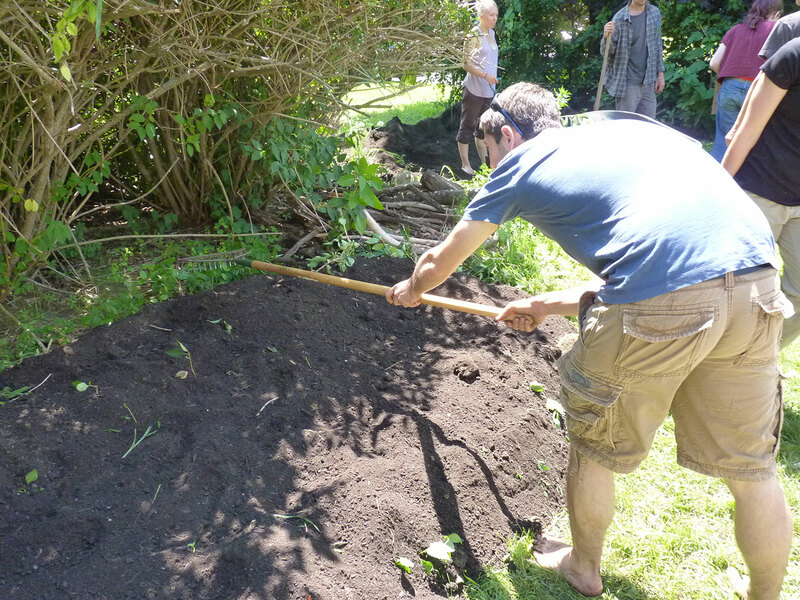 Access to finished compost; enough to cover the pile to a depth of 3-4″. Some friends to help. Sheet mulching can be a lot of fun with a bunch of people, and not as much fun without them! 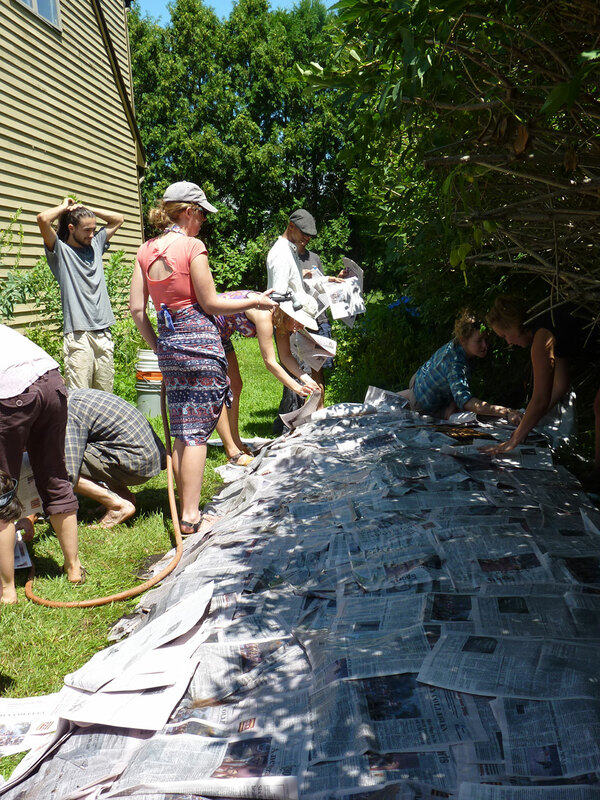 There is nothing quite like the thrill of sheet mulching to cover up lawn–it feels very subversive (to the status quo) and empowering (hey, let’s get some veg in here!). So let’s get started! 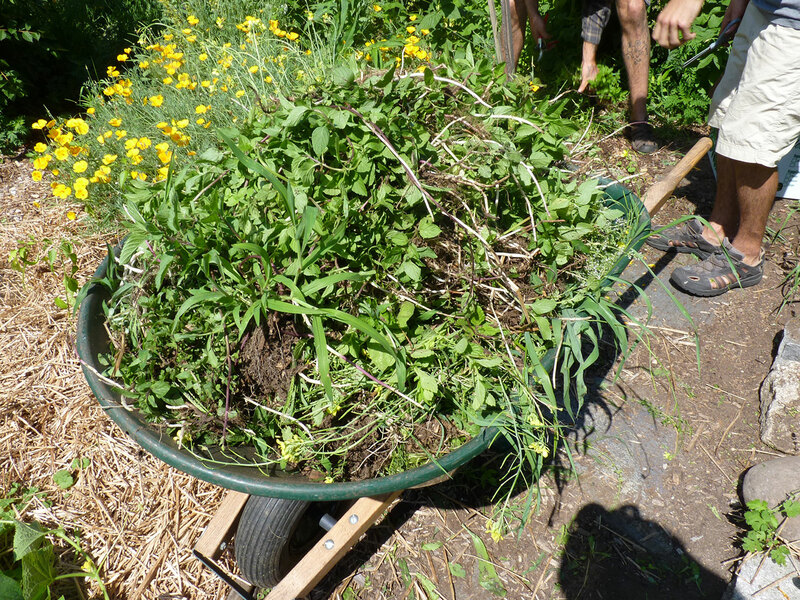 After a good 2 hour harvesting and weeding session, the PDC group had a large pile of weeds. Some of the weedy material! 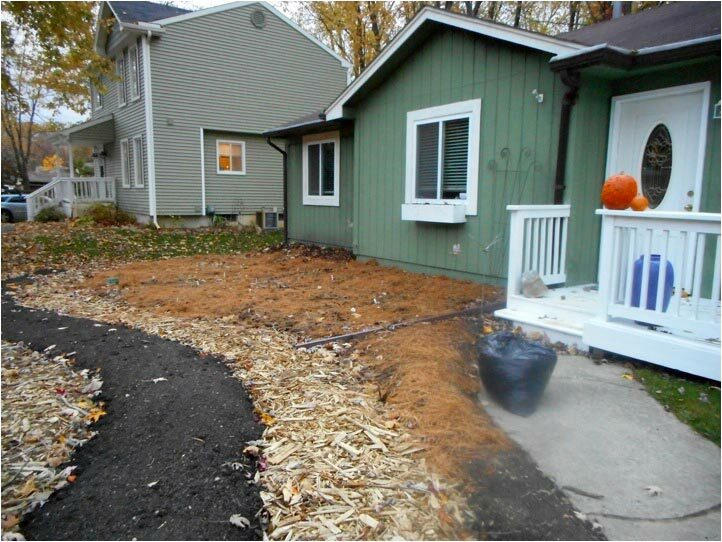 And so, to make use of this material, we converted another 4′ x 20′ part of Ryan’s lawn to a productive growing space. 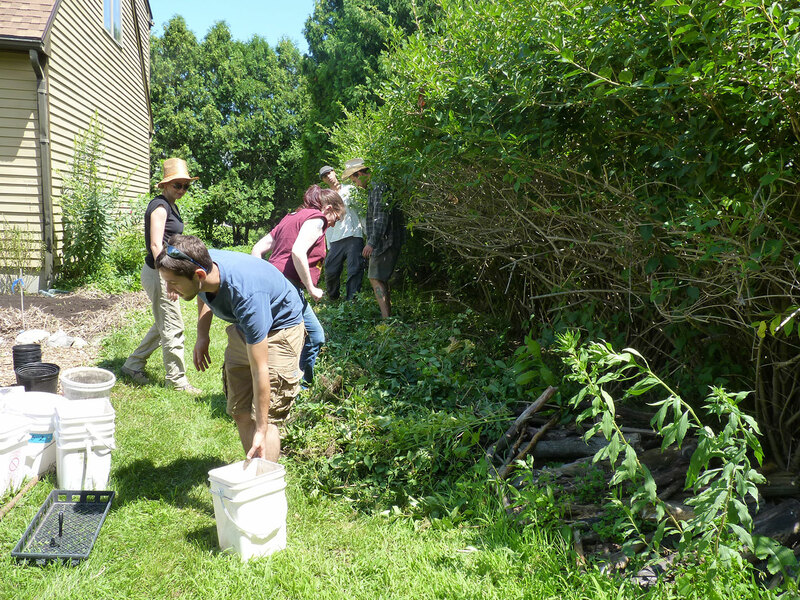 We began by laying down the layer of weedy material–the layer was probably about 1.5 feet thick when we started. After each step you water the pile. The water helps the material break down faster. After reading the Liquid Gold book, I would probably, at this step, also encourage everyone to pee on the pile to add additional nitrogen or add some saved urine for the pile….but we unfortunately skipped that step during the permablitz :). After wetting the pile, we began adding compost. 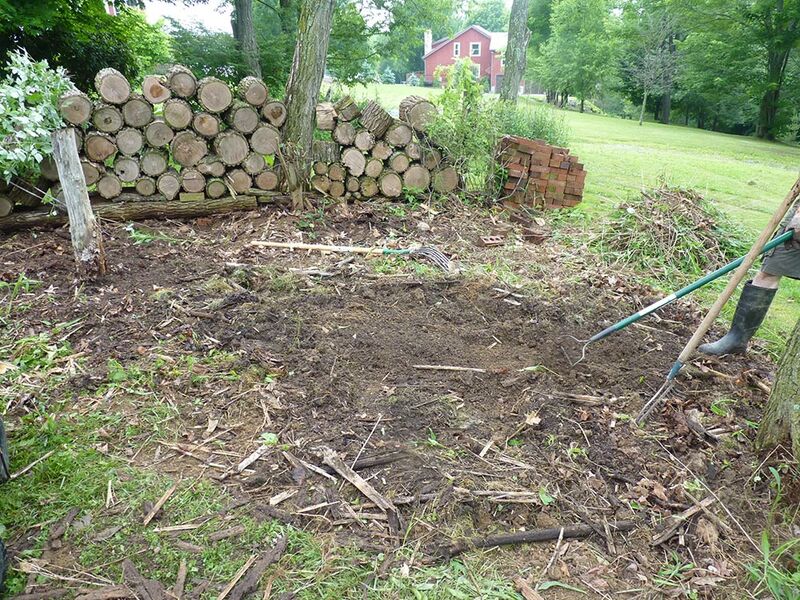 We added 3-4″ of compost the whole way over the pile. 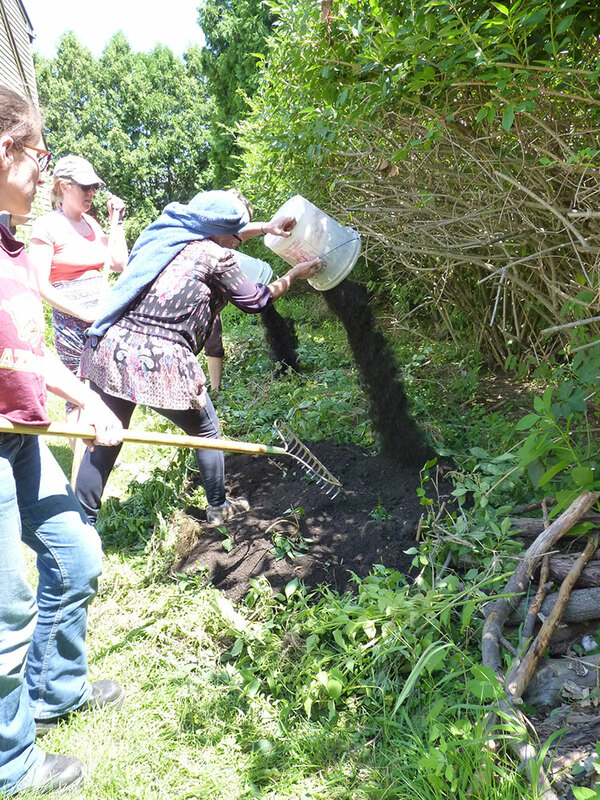 As we added compost, we used the back of the rake to evenly distribute the compost. After that, we worked to flatten the pile by dancing on it. The dancing is critical–I’m not sure this method will work without dancing at some point. Get in there in your bare feet and go to it! Dancing and stomping on the pile! After this step, we add the cardboard and newspaper. This functions as a weed suppression layer–we need to suppress any weeds that may want to poke up through that rich compost! So while some of us prepped cardboard, others laid it down. Larger pieces of cardboard were added first…. Smaller cardboard pieces and newspapers fill in the gaps. You can get cardboard and newspaper readily–most big stores will have so much cardboard every day that they are generating from materials coming in. Furniture stores or Appliance/TV stores have really large boxes that work well for this. Last week’s newspapers, also, can be readily available. Or if your neighborhood has paper recycling, just go pick boxes up on the curb. Regardless of how you procure your newspaper and cardboard, lay down a good amount. 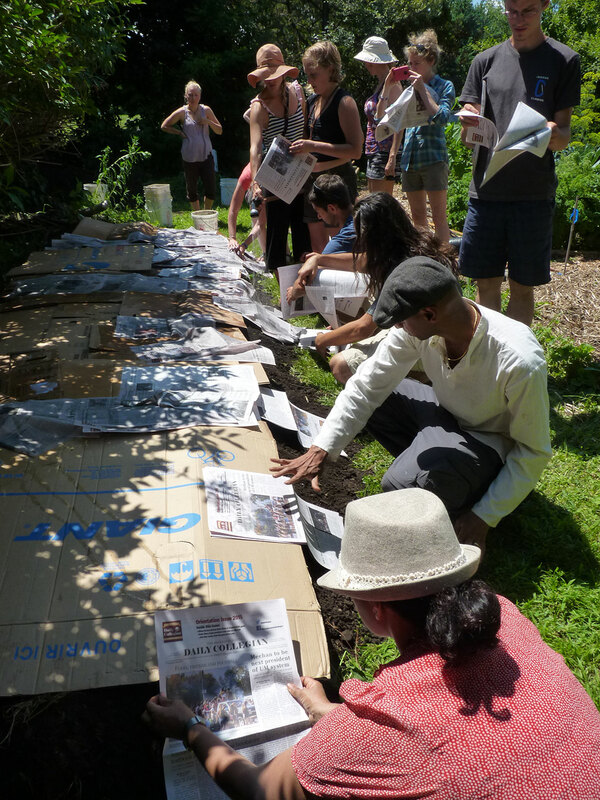 We laid down a full layer of newspaper, paying close attention to the edges. Then we watered the whole pile quite well, again. 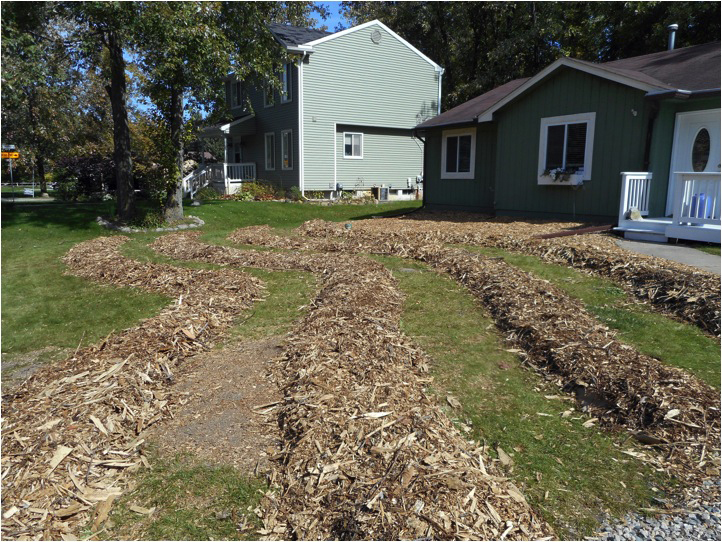 The next step is to add the wood chips–this will provide the plants to be planted in this pile next year some mulch, which retains water. 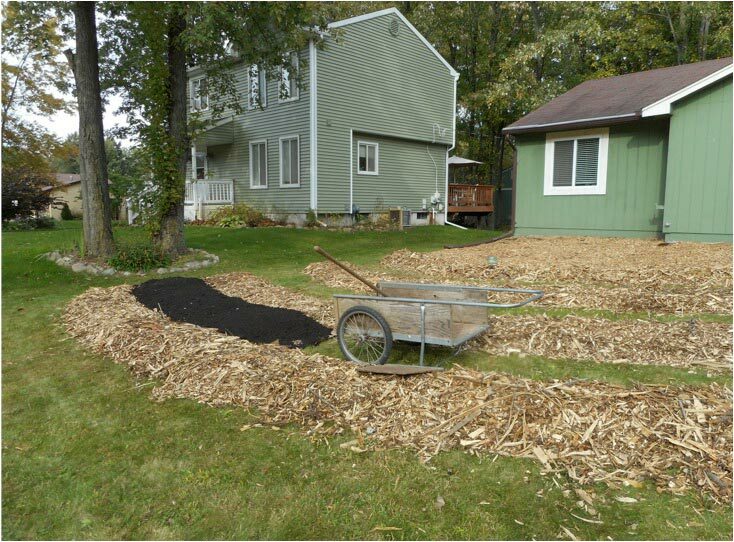 Bare soil is not typically found in nature and so we want to mimic nature by using mulching materials. The wood in the chips will eventually break down as well, further adding humus and nutrients to the soil. Wetting down the pile – we’ve finished! This sheet mulch area won’t be planted in right away–we made this pile in July, and Ryan planned on planting in it in the spring. That’s usually how it works: prepare the piles prior to planting. The reason for this is that the sheet mulch pile can get pretty hot as the green plant material is breaking down and that can be too hot for plant roots to survive. 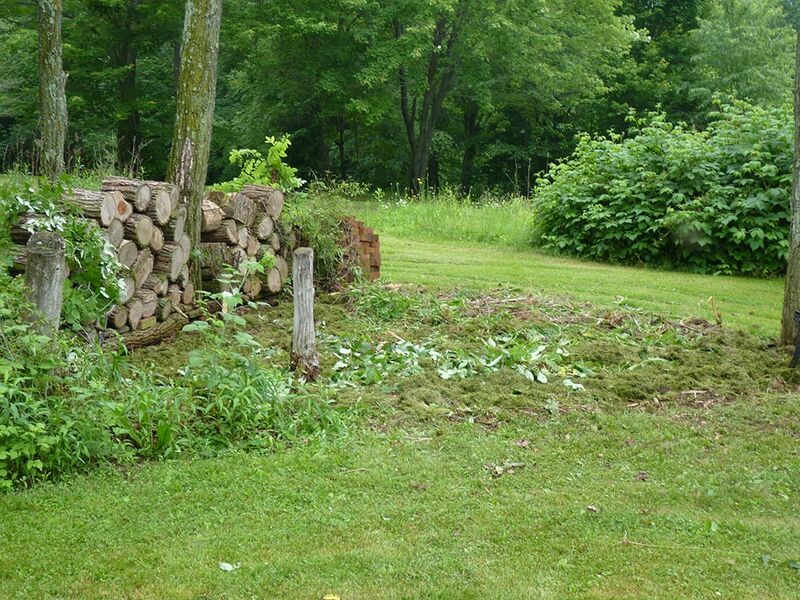 By letting the pile sit, the pile will break down naturally and create an awesome growing medium. In my own garden at my homestead, in early spring, some of the material from my fresh sheet mulch piles still hadn’t broken down when I went to plant the spring. I added additional compost for around the plant, and the plants did just fine. 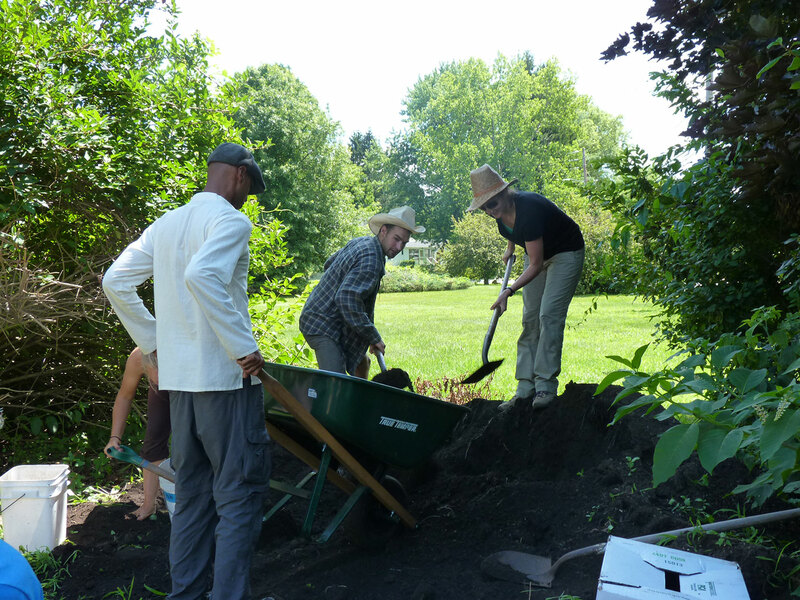 By the end of that first summer, there was no more cardboard or material–all was beautiful, rich, black soil. 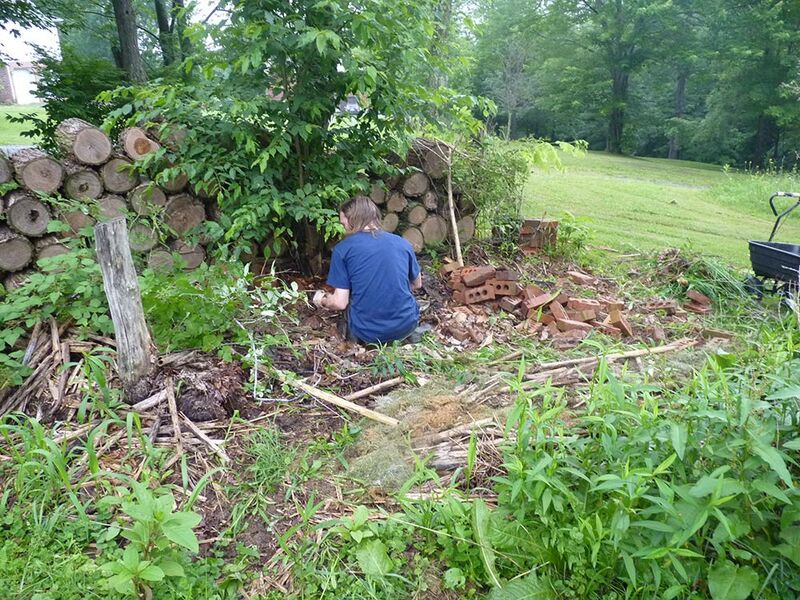 Nature does try to slowly reclaim your soil and piles–if you find yourself in a thicket of plants you no longer want, sometimes its easier just sheet mulch over them again. So you sheet mulch, grow a few years, get a bunch of creeping weeds, and then just sheet mulch over it again; this doesn’t harm the soil, and continues to add organic material. Yay for soil regeneration! 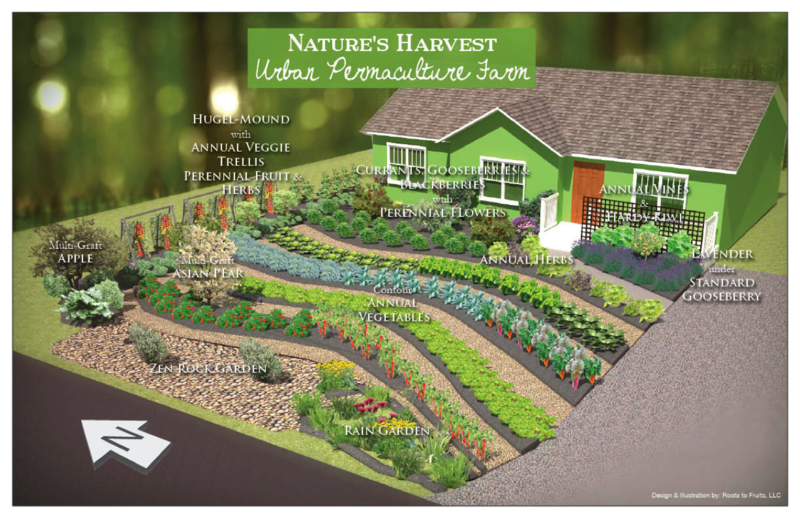 Design of Nature’s Harvest Permaculture Farm – Beautiful, biointensive, productive. Over the years, I’ve done quite a bit of coverage about lawn issues, as I really do believe that the lawn can be one of the primary sites of transformation and change for ordinary Americans and others in the Western industrialized world. 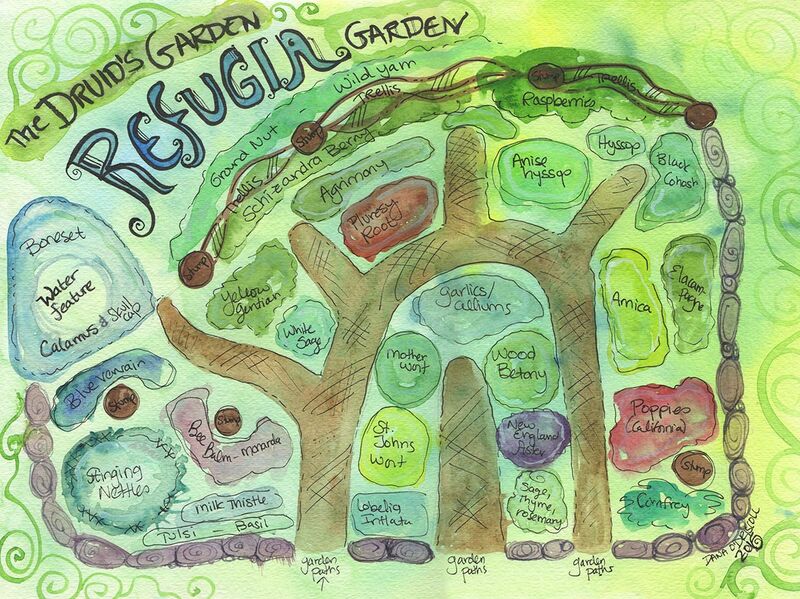 Not only can the lawn be transformed from a consumptive space to a productive one for growing vegetables, herbs, and flowers to benefit humans and other life, but it can be a site of personal reconnection and healing with our landscape. This is because the lawn is the single piece of nature that the bulk of people, living outside of big cities, encounter on a daily or weekly basis. If we can transform the lawn, we can transform ourselves. 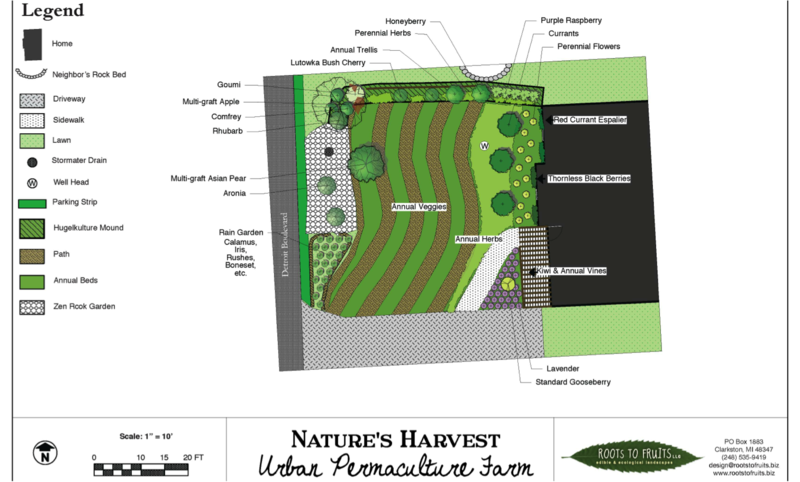 This is why I am so excited about this post–through the example of Nature’s Harvest Urban Permaculture Farm, a new creation of my dear friend, Linda Jackson, I will provide an introduction to how to convert a front yard to a vegetable garden using permaculture design principles. This is Linda’s story, but she’s asked me to report on it for you here to get the word out. I’ll also say that I’m only telling part of the story now–I’ll provide more updates later in the year and talk about what she planted and how its all doing–and more responses from the community. Linda was a certified organic farmer, a farmer’s market board member, a board member of a state-level organic farming rganization, and a horticulture teacher for many years. 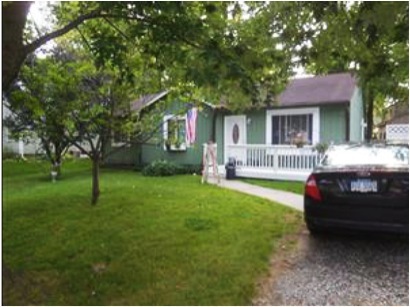 Last summer, through some trying life circumstances, she was displaced from her farm and ended up in a small home in a suburban area in a town called Lake Orion (in South-East Michigan). 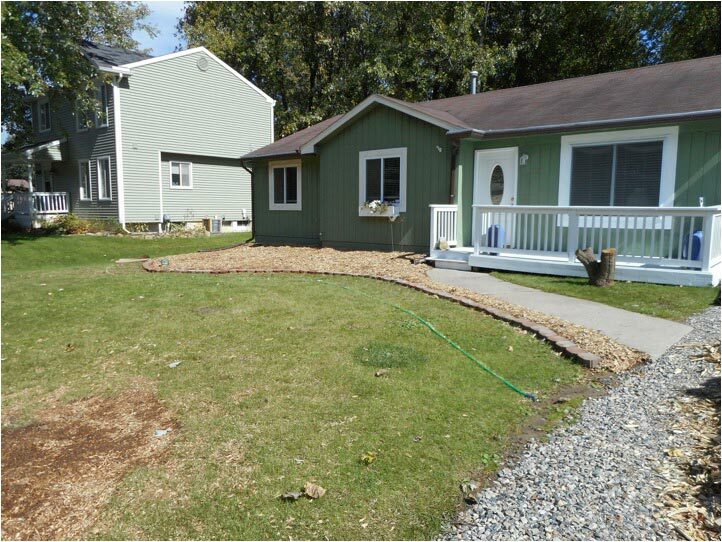 Linda moved from 10 acres to a tiny 100×200′ plot (with a 50′ x 50′ growing area in the front yard; back yard is full shade). 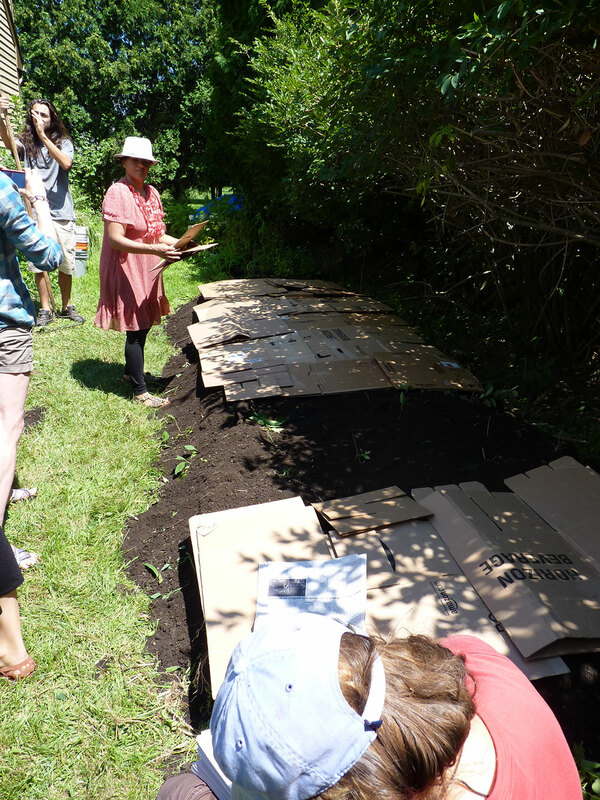 Linda used her background in farming and permaculture design to convert her plain, everyday lawn into not only a place to grow some great vegetables, but also a place of community change and empowerment. Here’s how she did it. Before one begins to convert one’s yard, the legal aspects must be considered and weighed. As my own run ins with township ordinances have attested, and as protections of small urban farms have been removed in Michigan in the last 12 months (and the legal battles everywhere raging about front-yard farming), Linda decided to take no chances with her plan. She went directly to the township supervisor and spoke with him about her design and plan for her front yard. He told her that as long as she wasn’t growing “weeds” it wasn’t a problem. She also read through the township ordinances thoroughly to learn what could and couldn’t be done. We are still crossing our fingers that, now that she’s gotten the garden installed, that this will hold true. But so far, so good! For those of you thinking about converting your own yards–do keep legal ordinances (and homeowner’s associations) in mind. They can really sink (and fine, and bulldoze) your hard-earned efforts. And even a statement like “don’t grow weeds” is tricky–my township, for example, designates common milkweed as a noxious weed (when its a beneficial native plant). 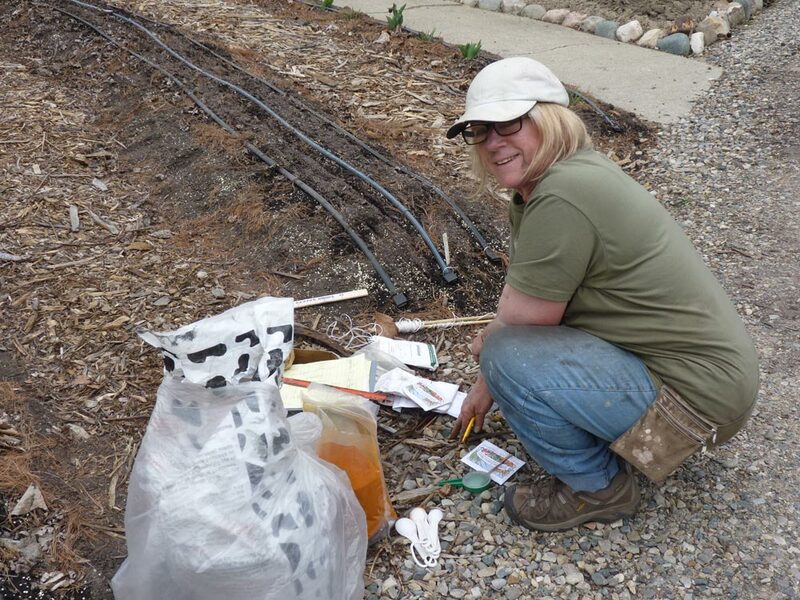 Linda at her new farm getting ready to plant some radishes! Her triple bottom line was: ecological, social and economic sustainability. 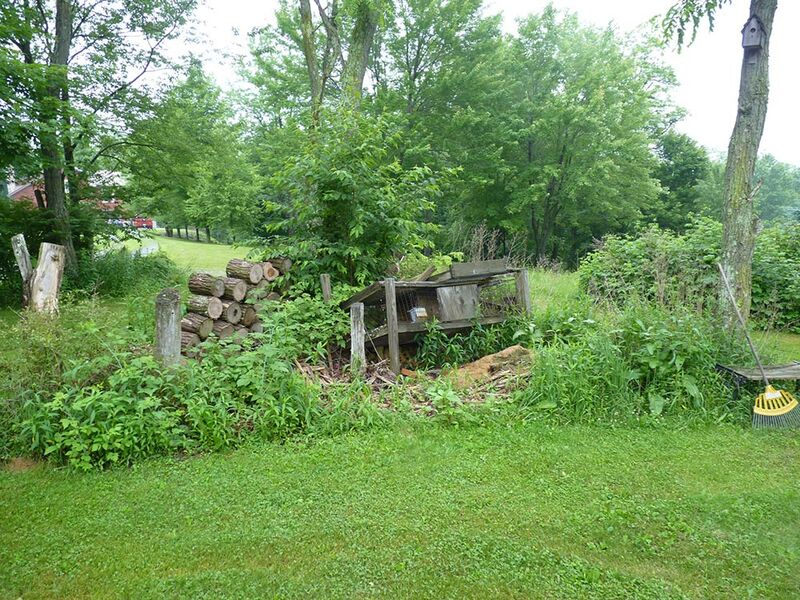 Linda examined her specific site over a period of weeks (she could have waited and observed longer as permaculture design principles suggest, but winter was coming fast and she wanted to get her hands in the soil and start growing first thing in the spring). So waiting a year wasn’t an option! During these observations, she created a plan of action. 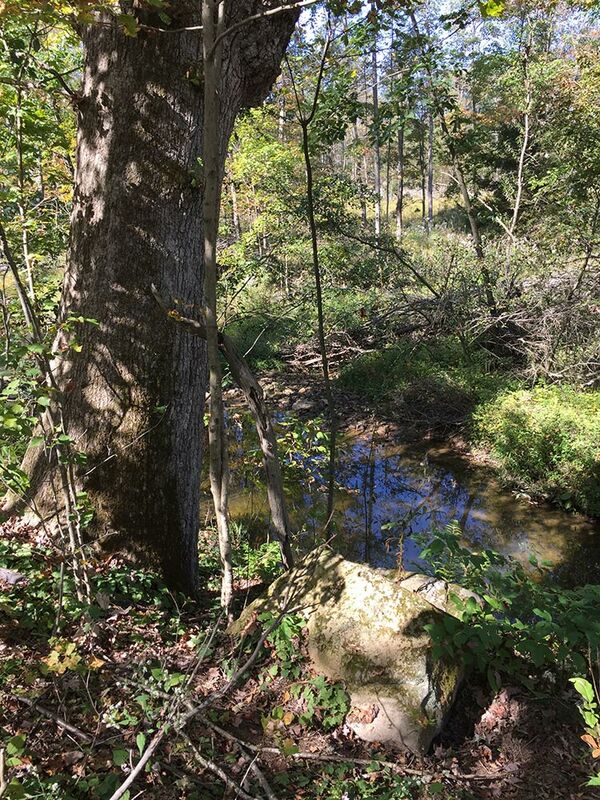 In observing her site, she paid attention to the light (recognizing the need to take out several trees); the rainfall (including where water pooled and where it was dry) and the slope of the land and elevation changes. 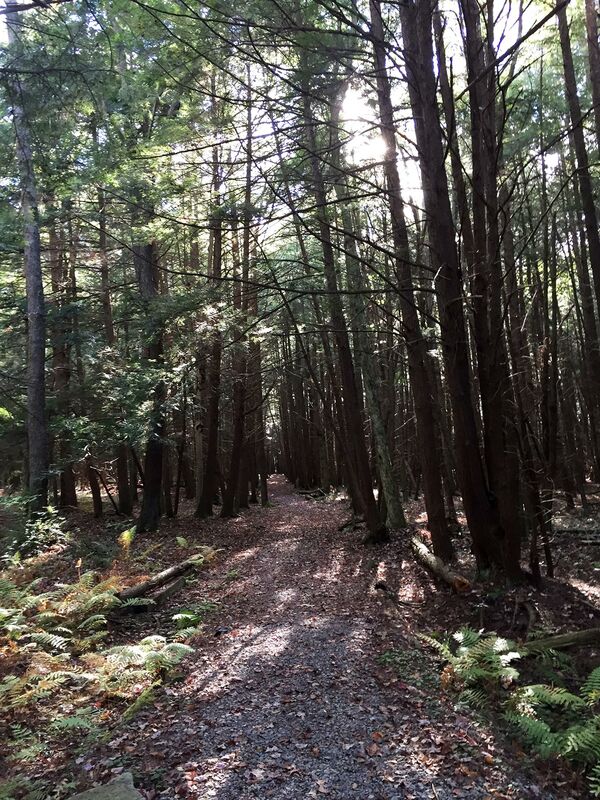 She also noted the microclimates near her house, where the sun reflected from the house siding and onto the soil, keeping it dryer and warmer than other areas. Two ornamental fruit trees (that did not produce fruit) and a silver maple were first removed to produce full sun on the site. 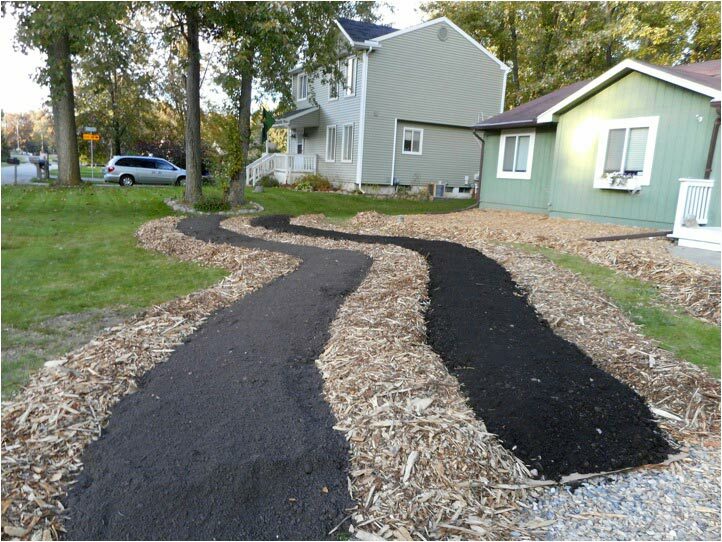 These produced 15 yards of chipped mulch, which Linda put to good use as pathways in her garden. 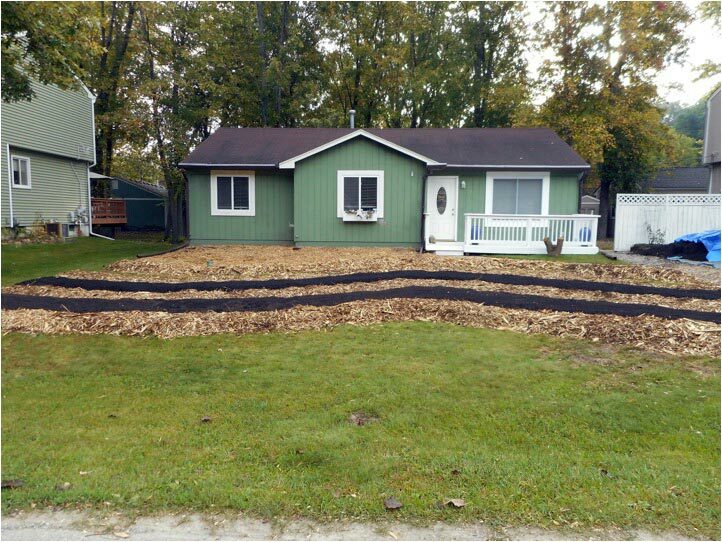 After the trees were removed, Linda also ordered 10 yards of compost from a local compost company and set to work (and she worked full days, 4-5 days a week, for 5 weeks to finish her site). Linda knew she wanted her farm to be aesthetically pleasing and mimic patterns in nature (another permaculture design principle). To do this, she used a hose and the natural contour of the land and laid out her beds and pathways. She had the idea of “flow” in her mind as she designed, creating a series of soft waves. Natural contours–shaped with the hose! After this, Linda laid down brown recycled paper to create a weed barrier (similar to the sheet mulch techniques I shared several years ago on this blog). 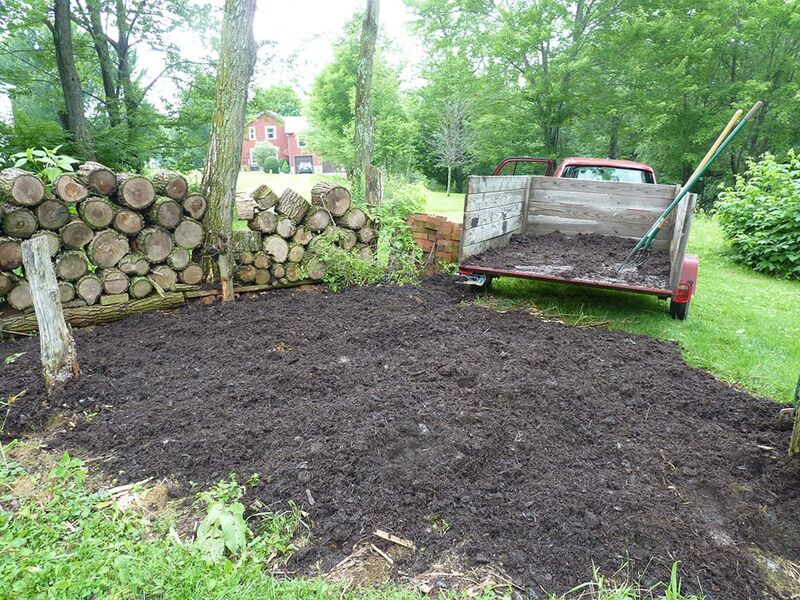 Then she laid down her thick mulchled pathways (about 6″ of mulch) and added more weed barrier compost for the beds themselves (eventually making it to 10″ after a neighbor blew leaves all over her farm and she laid down a second layer!). 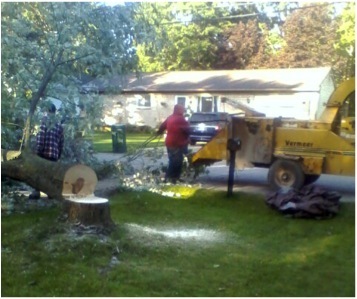 Here are some photos of the transformation as it took place. 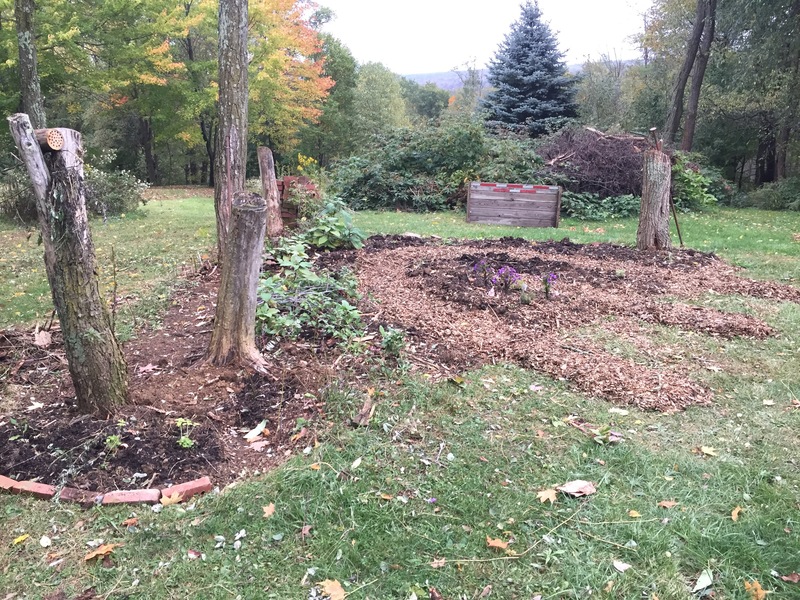 Starting to add compost over weed barrier…. Front yard shot of the progress! Nearly complete as of October 2014–the front area there is a rock garden and rain garden since water pools there often. 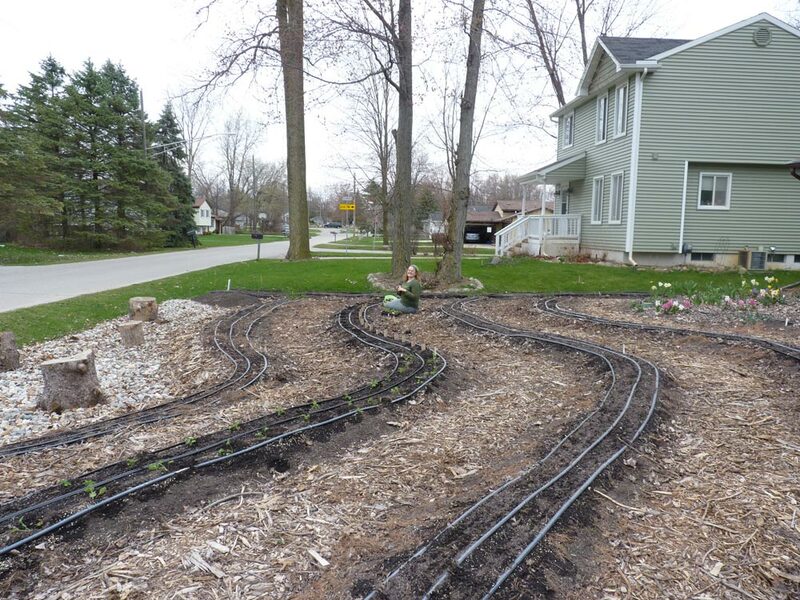 After the snow melted and the temperatures warmed up this spring, Linda installed drip irrigation lines and began her finishing touches on the garden and the soil composition before planting. I visited her this past week, and together, we planted kale, radishes, and chard: the first of the spring crops able to go into the ground. Linda impressed me with her organic pest control techniques: each kale seedling got a healthy spoonful of cayenne pepper and each chard seedling was popped into a toilet paper tube to protect it from rodents, slugs, and possible frost damage (and this was a good thing, since its really chilled down recently). Here are some shots of the current garden. I was also impressed that we planted nearly 80 kale seedlings in her space, with plenty of room for many other delights! I think she’ll have no problem having plenty of product to take to the farmer’s market and to put on her plate. Kale Seedlings with Cayenne Pepper! 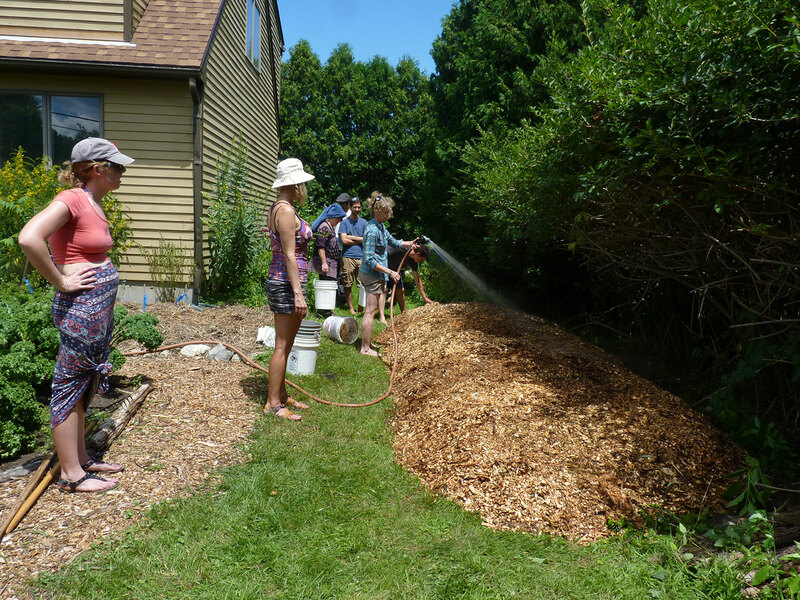 As Linda put her garden in in the fall and as the weeks passed, the neighbors watched the yard’s transformation and anticipation in the community grew substantially. Here was someone doing something unique, different, groundbreaking, and exciting. The important thing to understand about this kind of public growing space is that people will talk. They will ask questions, they will be curious, and interest (of several kinds) can take place. I experienced this firsthand when we were planting kale, chard, and radishes this past week. Multiple people stopped by, took a look, asked what we were up to. We cheerfully told them and they smiled and said they were thinking about doing it themselves. So far, Linda has been lucky as the response in her community has been incredibly positive. Several people have asked her to put in gardens for them–but Linda wants to empower them to do their own work, not do it for them. Given the above, Linda decided to be proactive about promoting her space, and in addition to talking to the township prior to starting, she decided to create some marketing materials. She went to my friends at Roots to Fruits for some snazzy graphics to share and feedback on her designs. I also helped her create a Powerpoint presentation that she shared in over the winter at a few local and regional events. 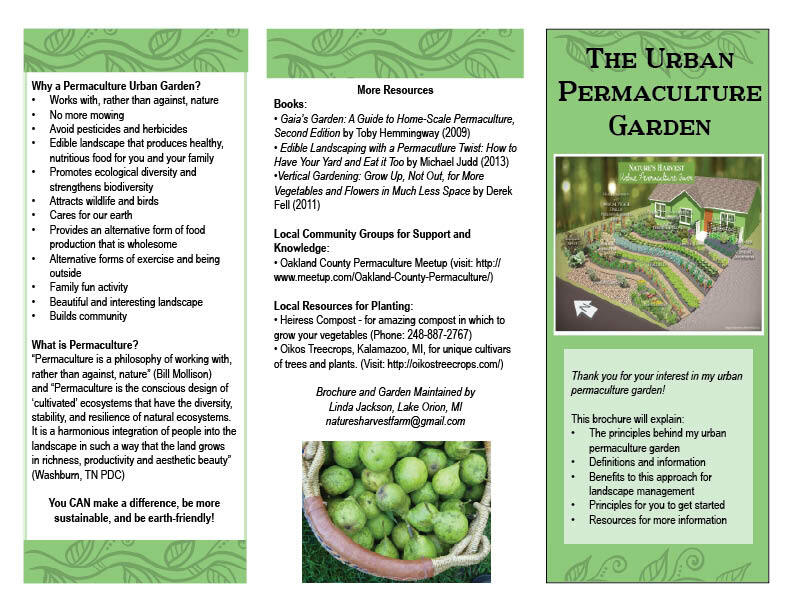 I also worked with her to create a brochure that she can give to people who are passing by that explains both the purpose of the garden and resources to get started. The brochure will be housed in a “take one” box on her mailbox so anyone who comes by can learn more about the site. 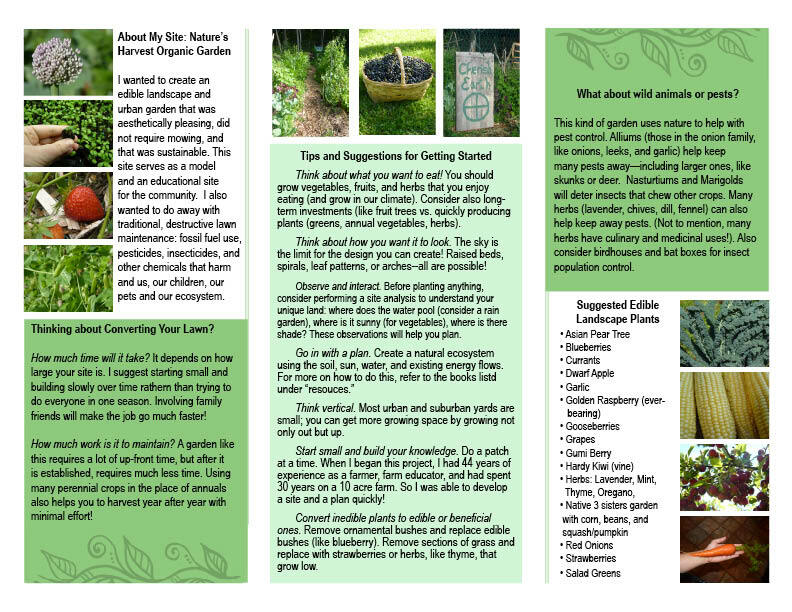 I’m including the brochure in jpg format here as well (you can click on it to see it full size). I think the proactive approach to marketing and community engagement is really the key to a successful front-yard garden, especially one that will stand the test of time. As I mentioned at the start of this post, I’ll be checking in with Linda later in the summer on a visit back to Michigan to see how things are going! In many ways, the typical lawn is a reflection of our own strained relationship with nature. Its poisoned and modified (as is much of the food we eat), it is unsustainable (as much of our lifestyles are), it has an appetite for chemicals and fossil fuels (as many of us do), and its generally barren with little activity or diversity of life (as nightly TV addictions can attest). Transform the lawn, and in the process, we can transform ourselves, our communities, our world. I’ve seen this transformation in my friend Linda, who left a very difficult situation scarred and wounded. 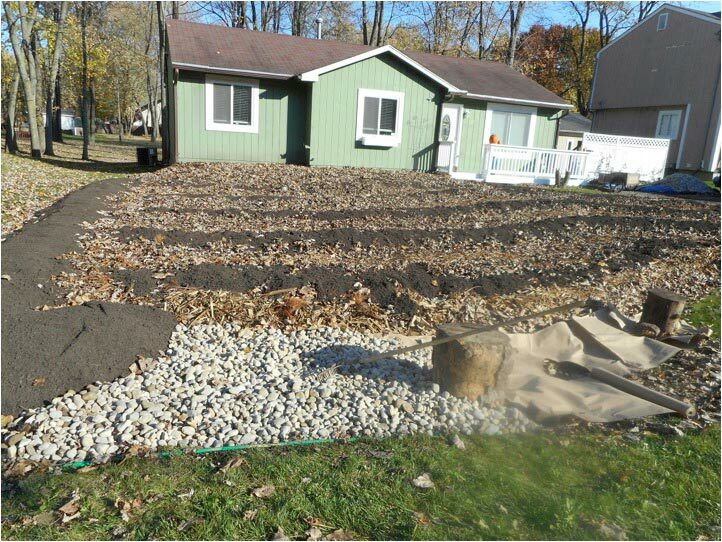 Through installing this front-yard farm, Linda was transformed and healed. And now this lawn, transformed, is transforming the community. Linda tells me of two neighbors on her street that are considering converting their front-yards to veggies and fruits as well, and I suspect that many more will follow the trend in the years to come. Since she’ll be selling veggies at the farmer’s market, she will inspire so many more who might not walk or drive down her street with her story, and most importantly, her delightful edible goodies.